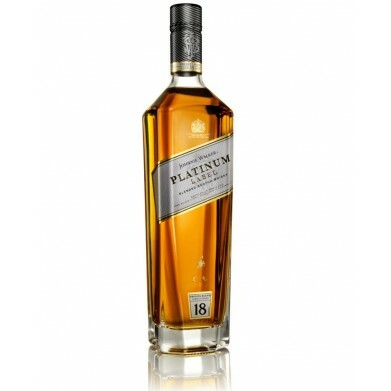 JOHNNIE WALKER PLATINUM LABEL .750 for only $87.99 in online liquor store. Platinum reflects the Johnnie Walker tradition of 'private blends'– whiskies created for special occasions. A contemporary blend from the Master Blender, this subtle and smoky whisky delivers full flavours that reflect the strong, sweet and elegant style of Speyside. Crafted from Single Malt and Grain Whiskies, each matured for a minimum of 18 years - this blend will appeal to those avid fans of Johnnie Walker whisky, as well as win over plenty of new ones.